Sweet potatoes spread from Peru and Ecuador to Polynesia before the Europeans came. Through new genetic analyzes, French scientists confirm this old theory providing the Norwegian explorer Thor Heyerdahl and the Kon-Tiki expedition an extra point. Through the results, they are able to see how the root vegetable has spread across the world from South-America. The results strengthen the so-called tripartite hypothesis: Sweet potatoes followed three routes on their way from America. The three routes are named after the local name given to the sweet potatoes. The first and most controversial route is called Kumara-line. Kumara is the Quechua Indians’ name for sweet potato. 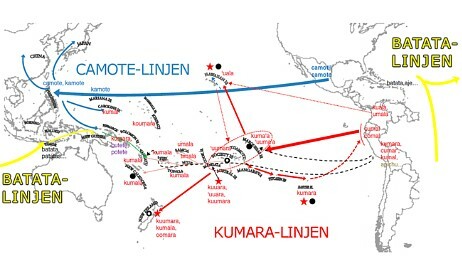 The Kumara-line followed the same route as Kon-Tiki – from Peru and Ecuador to Polynesia. 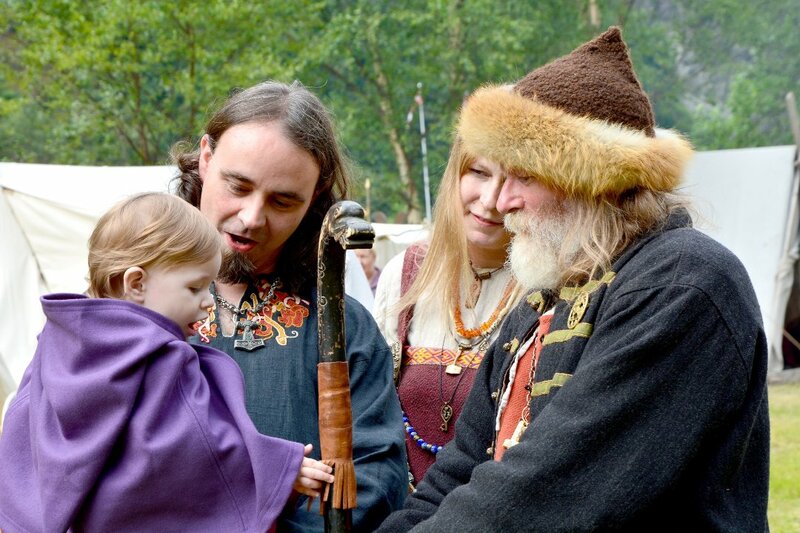 This happened in the 1100’s – before the Europeans arrived. Second was the Camote-line. It refers to the Spanish-Mexican name for sweet potato. The Camote-line followed Spanish galleons in the early 1500’s from Central America to the Philippines, and thence to China, Japan and New Guinea. The third and last route is the Batata-line. Portuguese trading ships from the Caribbean and Central America crossed the Atlantic Ocean and continued to sail east through Africa to Indonesia. Map shows the three distribution lines for the sweet potato: Kumara line from the 1100’s, Camote line (Spanish) and Batata line (Portuguese) at the beginning of the 1500s. But how did the sweet potato manage to take these trips? They could have been crossing on their own, without the help of humans. Floating seed capsules use about three months to cross the Pacific Ocean from Peru and Ecuador to Polynesia. On the other hand, sweet potatoes were grown high up in the Andes, which make it less likely that the seeds were able to get out to sea on their own. The new genetic results therefore give Thor Heyerdahl’s theories a little more credibility. With the Kon-Tiki expedition, Heyerdahl was trying to prove that people from South America had followed the wind and currents west, and settled in Polynesia.